Finally, here are photos I took in Taipei. 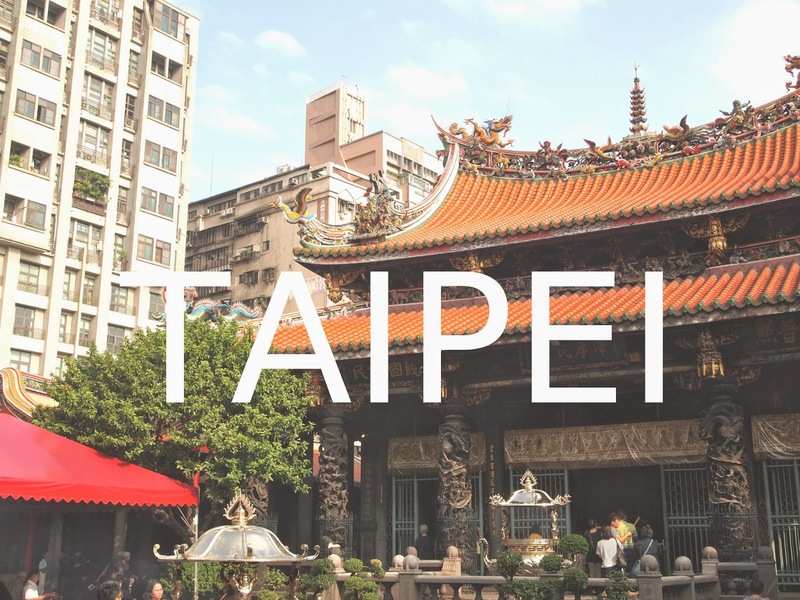 I stayed in Taipei for 5 days in last Sep, and already want to go back there. I miss yummy Taiwanese food, nice local people, sweet jasmine tea with bubble tapioca (basically tea is not sweet in Japan), fresh fruits, and even that hot and humid weather!! My friends who have visited Taiwan said its food was amazing, and it was true. I had 4 or 5 meals a day + some sweets and lots of juice in Taipei. Townscape of Taipei seemed quite similar with Japan. I found few photos of city in my SD card after I returned to Japan. So, this photo diary focuses on food. Breakfast on the 2nd day: Tofu soup, meat pies, and some orange flavored breads. A sweet cookie made from tea leaves. We took a cable car to MaoKong where is famous for having many tea houses. Actually the cable car was moving too often and made me car sickness. The typhoon was on the way to Taiwan on that day, and its strong wind was blowing hard. We couldn't eat all snacks. Tea leaves served in a big can neither. The typhoon was almost in Taiwan. Gotland of Kiki's delivery service and Shirakami - Sanchi in Tohokuof Princess Mononoke are still on my list. There were many cute cafes on the street. A cup of soup and some noodles. May be center of Taipei city. Many shops from Europe or Japan were there. We just walked through. oh.....! A book shop called "誠品書店" was really nice. We visited there TWICE. We enjoyed having a cup of coffee, some sweets and shopping! By the way, I just now found Toyo Ito designed its new building...... I didn't know about it. I should stop introducing myself as an architecture student. We saw people were praying for something, and it sounded comfortable for me. I saw these pink flowers everywhere in Taipei. Colorful and cute!